As I said in my first blog post, “My IOU list is epic”. Our fight would not be able to continue without the support of our community and if you’re reading this that includes you! People often ask how they can help, and since not everyone can pick Jackson up from school when one of Adelaide’s doctors appointments run late, below are a few ways you can support our fight to make the world a little better for our Adelaide and the Adelaide’s to come. If you have other suggestions or are interested in partnering, please let me know! We partnered with Fairgrounds Coffee & Tea to roast a delicious coffee blend called Adelaide’s Blend. It is currently available at all Fairgrounds cafe locations in Chicago, Minneapolis and LA as well as all Mariano’s grocery stores in Chicagoland. If you would like to sell or serve Adelaide’s Blend in your store, restaurant, hotel, etc. you can contact the distributor Tradecraft. Individual bags can also be purchased online by clicking the link below. Be sure to post a picture of your bag on social media with the hashtag #myshotatepilepsy! Debuted at the 2017 annual CURE benefit, Miguel performed a song he wrote for Adelaide with producer Ira Antelis called ‘Til the Calm Comes. The song is available for digital purchase wherever you listen to music including: Spotify, iTunes, Play Music, Deezer. You can also view the music video on YouTube by clicking the link below. All proceeds from the song go to CURE. 1 in 26 people will develop epilepsy in their lifetime, however federal research funding lags far behind other neurological disorders (link). Citizens United for Research in Epilepsy (CURE) is the largest private funder of epilepsy research in the United States and they need our help to keep the research going. There are so many ways you can help from attending or volunteering at events to donating. You could also become a part of the CURE Champions and host your own fundraiser to benefit CURE! Lemonade stands, 5K runs, concerts, art events, you name it. Every dollar brings us closer to better understanding epilepsy and finding a cure. Many Americans can be left without a legal voice, especially those that are disabled, but the ACLU has fought for their constitutional rights time and again. The ACLU needs us now more than ever. By donating, attending an event or sharing their message, we can help this nearly 100 year old organization continue to protect our liberty. The link below will take you to the national ACLU website but from there you can find your local chapter and participate in efforts focused directly for your own community. “Teaching empathy, sparking friendships.” There are few things more impactful on our children’s lives than simply having friends. 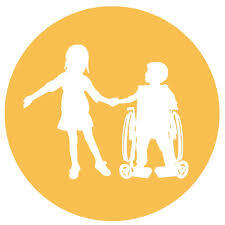 The Nora Project’s flagship program is an elementary-school curriculum that pairs children with disabilities (“Nora Friends”) with participating classrooms. Students in those classrooms learn all about their Nora Friends and at the end of the year they compile what they’ve captured to create a mini-documentary about each Nora Friend. You can bring The Nora Project to your child’s school or donate to continue their impact across the country.